Riying Investment Group, established in 2012, is a comprehensive financial investment management company. It has five major sectors: Riying Capital, Riying Financial Management, Riying Alliance, Riyin Financial Service, Riying Education, and all-round innovation and cooperation among the five sectors to create a financial integration ecosystem. The group’s main products are creditor’s rights, securities and equity, among which private equity investment is the core and the three major industries of consumption upgrading, health and education are laid out, adhering to the three star investment strategies, i.e. star agencies’ follow – up, star targets and star characters’ second start – up. With the mission of ” helping the whole people manage their finances and making China an economic power”, investors will realize asset preservation, appreciation and inheritance. Not only that, the group has created three platforms for investors, financial planners and institutions, namely, the ambassador platform for public welfare publicity of financial businessmen, the platform for management of billions of dollars and the platform for financial alliances, and is committed to creating a fair, free and transparent platform to meet the needs of all parties and promote win-win cooperation. The group has excellent qualifications, has ” private equity fund license”, ” private equity fund license” and ” other private equity fund license”, shares in insurance companies, and has established insurance brokerage companies. 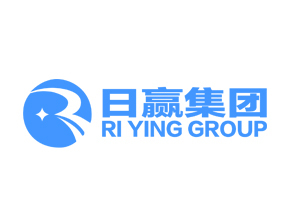 In the future, Riying Investment Group will become a fully licensed financial control platform, and the Group has arranged and implemented five independent listing plans.